This month the Hive 9 queen bee put together a really fun tutorial on how to make Improv House blocks. The blocks come together so very quickly and I had a hard time restraining myself from making more. I mean, these are some seriously tall and skinny houses. Wouldn’t it be fun to make some short and squat to go with these (I have resisted so far but may succumb to the idea before I ship these off). Linking up with Let’s Bee Social. When I saw the pic in my Bloglovin’ feed of what turned out to be adorable improve homes, I thought they were rockets. I’ve made a couple of improve baskets and one turned out tall and skinny – surprised me even though I had a clue. I may put in a quilt some day – I don’t know. I think your queen will love them. Ii can’t wait to see you quilts in Grand Rapids! I love the improv houses. They are cute. My favorite house is the one with the green door and red roof but I would love to see some short squat houses too. Your house blocks are delightful! Congratulations on your AQS acceptance. 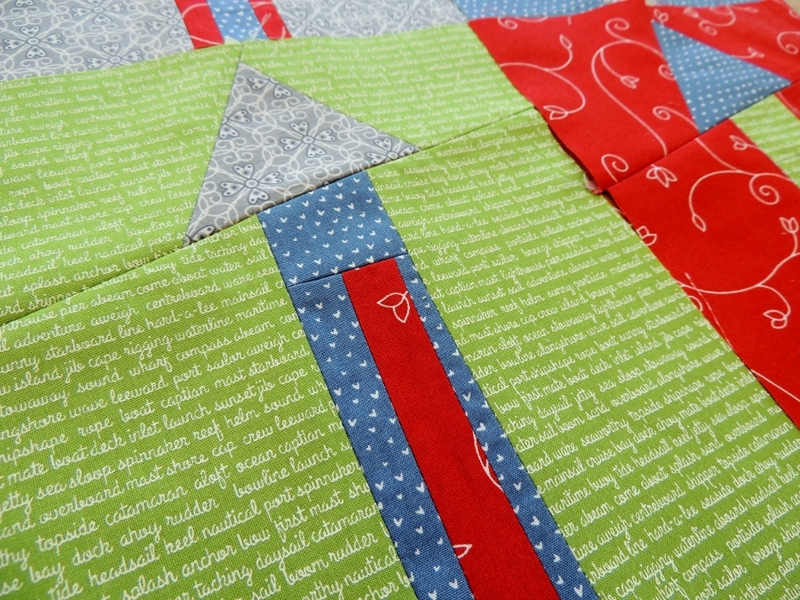 “Beacon” is an amazing quilt — your attention to detail in the quilting and binding is awesome. “Transparency” is simply stunning. Way to soar, Jet Girl! Congrats on having your quilts juried into an AQS show! Those houses are adorable. 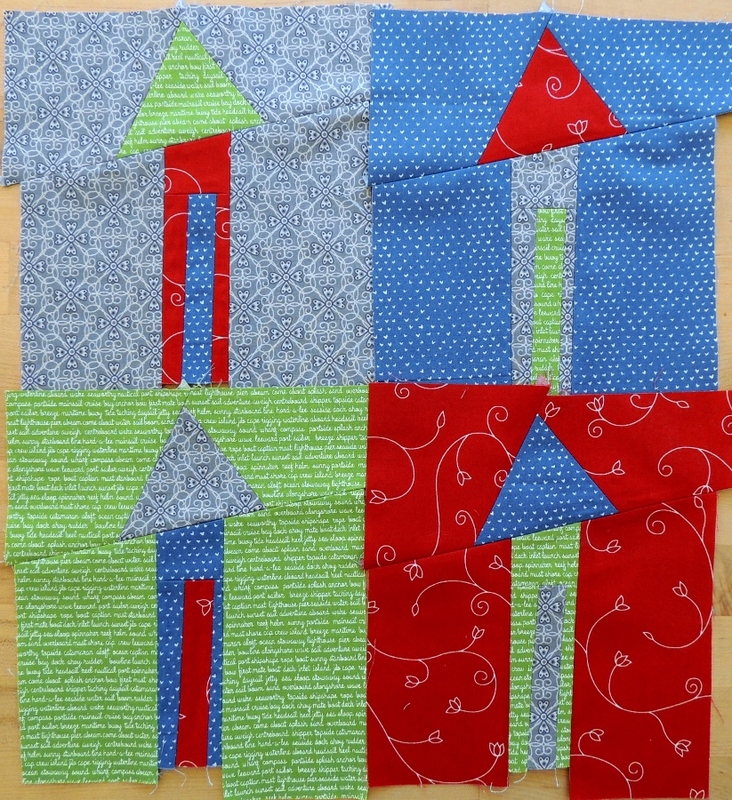 Careful–free piecing is addictive! Congratulations on the show news! Your houses are very cute! It would be fun to try some short, fatter ones. Congrats on your quilts getting into AQS! Those are some really cute and colourful wonky houses. And congratulations on your quilts entry into the show in Grand Rapids. So well deserved!!! How fun!! I love these house blocks! I have a board on Pinterest with nothing but house blocks. It is definitely on my bucket list to make some kind of “house” quilt. Congratulations on your show quilts! Triangle Transparency is an awesome use of color value. Love it! Is this one of your patterns? I think the houses are so fun, I have sent the link to my daughter, she married a nice man named House almost 30 years ago and has been collecting quilt patterns with houses for a while now, I think she will love this. I love the proportions of your houses: very pleasing to the eye. I’d love to see them paired with some little fat ones too. Congratulations on getting your quilts into the show; how nice to think people will get to see them in person not just on the screen. That’s exciting news – congratulations!!! And I can certainly see how four little houses would not be enough…they are quite adorable! If you make the next set of four squatty, what will you do for the *next* set, I wonder??? (Like chips…can’t stop with just one!) Have fun! Congratulations on having your quilts juried into ACQ show. You must be on top of the world. Those skinny house are cute. If you make smaller house, please be sure to show us. I’ve been crushing on these little improv houses as well and just might make some myself. Congratulations on your acceptance into the AQA show! Wonderful work Yvonne. I have been following these houses and they are stunning. Congrats on your quilts making it into the AQS show! Both are stunning examples of your creative genius. Do you consider getting your work accepted into a juried show the mark of success? I’ve been listening to many Crafty Planner podcasts and am curious on how this applies to you. These are such fun houses! I must give these a try! I love a house block, I think they are my all time favourites. Congrats on being juried into the show!!! Congrats on the quilt entries – I love Beacon, so I’m rooting for it to go far! I am not sure where Grand Rapids is, but I am excited anyway! Wow! I’m so excited for you having your quilts in the show. And yes, I like the red door too. Really cute houses, and congratulations on your show news, that sounds very exciting.